Kpop-Town goes into live action! Have you sometimes noticed that xNoodles often describe things in the K-pop industry as if they were in their own world? With term ‘Kpop-Town’? .. Well I sure have. So I decided to draw up a picture of what the town may look like. It probably looks nothing like my drawing due to my messed up imagination in the middle of the night while giggling the whole time drawing .. I was also sucking on a lollipop. Oh, that sounded so wrong in my head. By the way, if you can’t read the things then just zoom because the picture is so high quality. Yes, I’m bragging about my scanner. And one more thing, I drew the authors xNoodles and Mr. Chen on the picture as well, try to find them. And the things about them .. Us, I’m there to .. Are so true. Even if Mr. Chen would probably be drooling over Taemin and not the Robot. She’s just too embarrassed to admit liking a jail-bait. 2PM promise to spend Christmas with you .. On stage. If you like Christmas and if you like 2PM this live is the right one for you! – … Erm it sounds like I’m trying to sell something but It’s really just a winter special live by 2PM. Their dancing skills were as usual amazing and the remix version of Only you.. Well I couldn’t help to like it even though it wasn’t very Christmas-ish. But on the other hand their clothes were very winter-ish with all that red and white. Please Wonder Girls, Anybody but me! 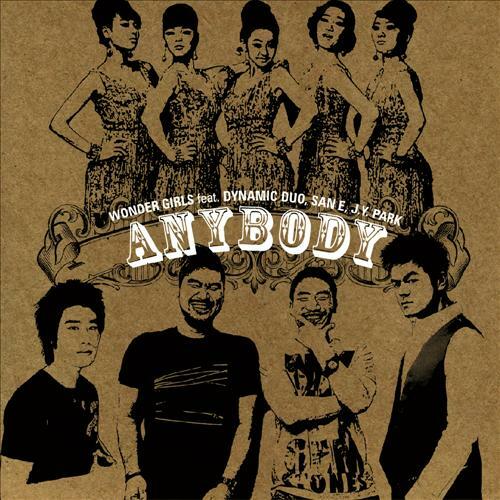 Wonder Girls recently released their Anybody song where they sing together with the Dynamic Duo. Not great, nor bad. Nothing really new either for that matter, it’s more sort of a remix of their earlier released song Nobody. And just to mention this, as I passed by this song at youtube I just happened to see a comment about how little the Wonder Girls sang and how the talented Dynamic Duo rapped too much .. But guess what ‘Less Wonder Girls, More Love’! JYP presents Number 1 out of 15 000 people; Liuxin! One of JYP’s first solo singers here’s Liuxin. She’s Chinese and apparently got number 1 out of 15 000 people in auditions at JYP China. Her song “Color” sounds like every other Chinese ballad you can find. Nothing special, and to be first out of that many people she wasn’t really all that. I had expected a wonderful voice which could make up the pain Wonder Girls live performance caused them earlier today. But who am I to complain, when her voice actually was good and the song as okay? Boa and Utada Hikaru says “Hello America”! The American market seems to be really targeted by Asian singers lately. It started off with Rain, who is currently busy filming Ninja Assassin after Speed Racer flopped! And then Se7en left the k-pop scene to give it a try, but has been postponing his album… Well at least his myspace is looking good and I quite like his song-preview. But now, it is the ladies turn! On the 10th of September, the queen of pop: BoA, will be holding a press conference in Seoul Imperial Paris Hotel, where her English debut-single will be revealed. It is rumoured that her single will be named I’m Gonna Eat You Up. Okaaaay, let’s hope that that is not true. 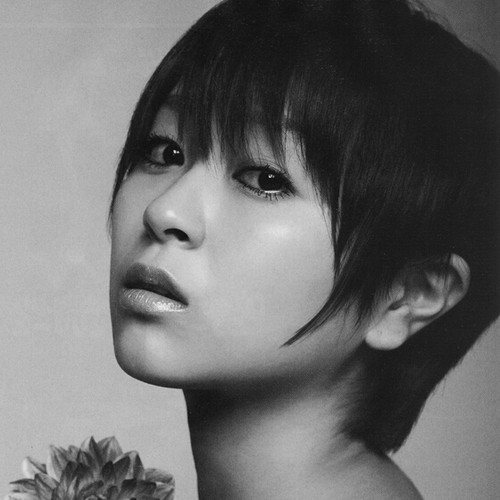 The amazing Utada Hikaru will also be releasing her second english album sometime in the future. It did not go well with the first album but hey, what doesn’t kill you makes you stronger right? By the way, whatever happened to JYP’s Min?